Every platform has it's achievements these days. It seems almost every game is eager to award you meaningless points for accomplishing things large and small. Before this trend however, everyone measured their achievements in a more personal way. Those of us who grew up before the official "achievement" have our own favorite moments. These are a few of mine. 1) Throwing grenades in Medal of Honor. It doesn't seem like much, but this was one of the first game mechanics I really mastered. The grenades in the first Medal of Honor game wouldn't begin their five second fuse until they hit the ground, but they'd go off immediately if you hit someone with them. More importantly, you could hold down the trigger to increase the strength of the throw, but there was almost no limit to the amount of "umph" you could put into it. The real secret to using these factors to your advantage was watching your opponent's screens. It's cheating, yes. I could spew apologies until I turned blue, make excuses about my young age at the time, but the fact remains, I cheated. In the most awesome way ever. By figuring out where on the map my friends were, I could drop grenades on their position with ridiculous accuracy. I was a one man artillery squad. Too bad it didn't work in the campaign, as my friends stopped playing with me pretty quickly. 2) Hearing my Name in Back & White. This one is no fake. 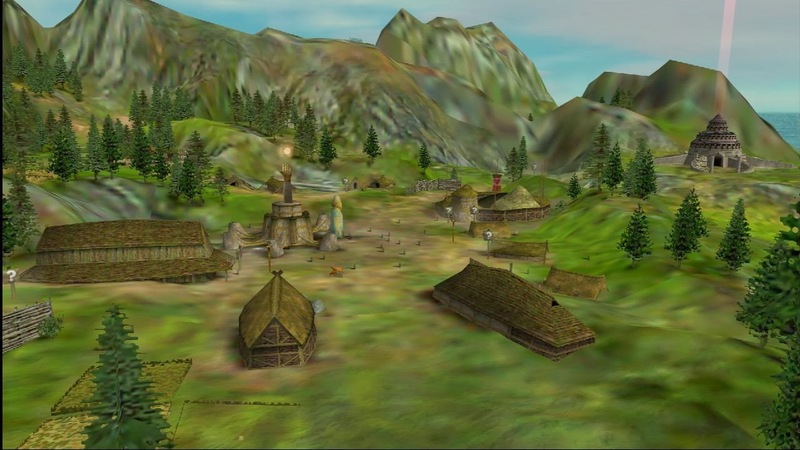 Black & White, the god game from Lionhead Studios, did all sorts of strange things. If you ask anyone who played the game for a while, they'll probably tell you a story about the game saying their name. It sounds crazy, right? Haha, that's where I've got you. You see, when one of your villagers dies, there is a creepy little whisper voice that says "deeeaaaaaatttthhhhhh." Guuh, I still get all wigged out, even typing it. Well, imagine my surprise when playing one afternoon, I hear that same diabolical little voice say "Sssteeeeevvvveeeeennnnnnnn." Surely, I handled it incredibly well, chuckled and fetched my monocle before growing a fine moustache. Not quite. I screeched like a terrified thing, fell out of my chair and ran from the room. Did I mention I was in high school when this happened? I didn't play the game again for two weeks. Still don't buy it? Listen to this, and if you hear your name and don't shudder a bit, I'll give you five imaginary Internet points. 3) My incredible 10 hour game of Total Annihilation. 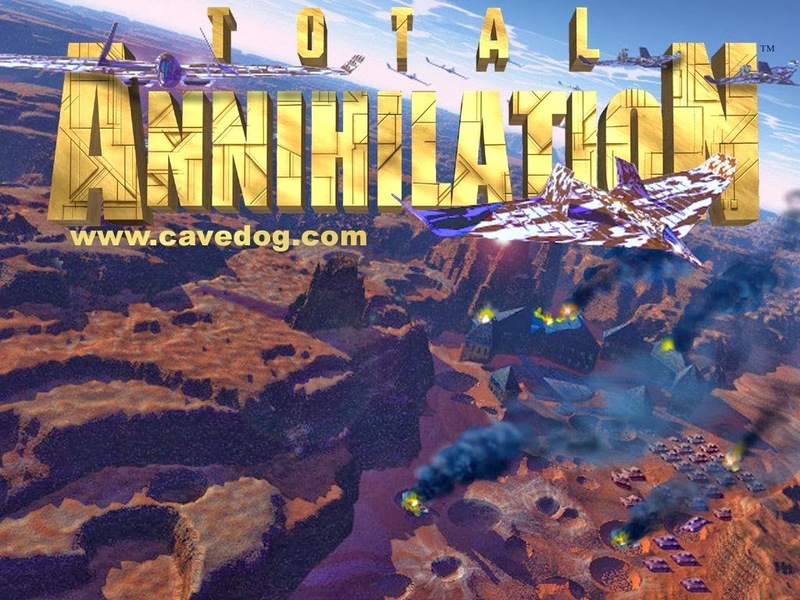 Total Annihilation was my favorite RTS. I've been chasing a game to match it ever since. Nothing has quite come close yet, though many have tried. There was always something about the way it played, the scale of it all. Every ruined unit would stay on the battlefield. Those that managed to survive became veterans, and you treat them with respect. Everything in Total Annihilation was about the conflict, the battle. Over time, the landscape would change, become more and more scarred, and resources became more scarce. Because the modem we had was connected to the main phone line, actual multiplayer battles when I was a child were a rare occurrence. I spent most of my time pitted against the AI opponents. I loved one mp in particular. The name escapes me now, but it was a large map with two landmasses separated by a chain of islands. This made for intense, long battles along the beaches, both teams building up defenses and sending vast amphibious landing parties to crash like tin toys against the beachheads. I'd cranked up the difficulty of my AI opponent, and thought for a while that I had him. I soon realized I was locked in a stalemate, each of us going back and forth, claiming a few islands before losing them again to the next wave. The beaches were a mass of tangled wreckage. As the map's resources dwindled, that wreckage became our primary building material. There we were, building armies from our opponent's dead, only to trade it back on the next assault. There was a message somewhere in there about the cost of waging an endless war, but I was young and craved the defeat of my imaginary adversary. Eventually I managed to hold an island long enough to build a Big Bertha, an enormous artillery cannon. I used it to shell the crap out of the enemy beach as his troops lined up for transport to my defensive force. It was a long and brutal fight, but I was finally able to wade through the smoking metal carnage to victory. There are countless other stories from my gaming youth. Every gamer has their own, and perhaps I'll share a few more in the future.